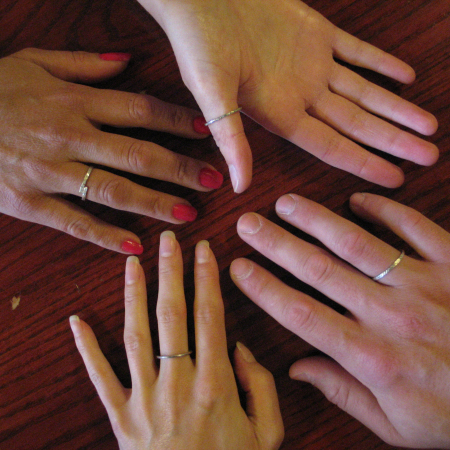 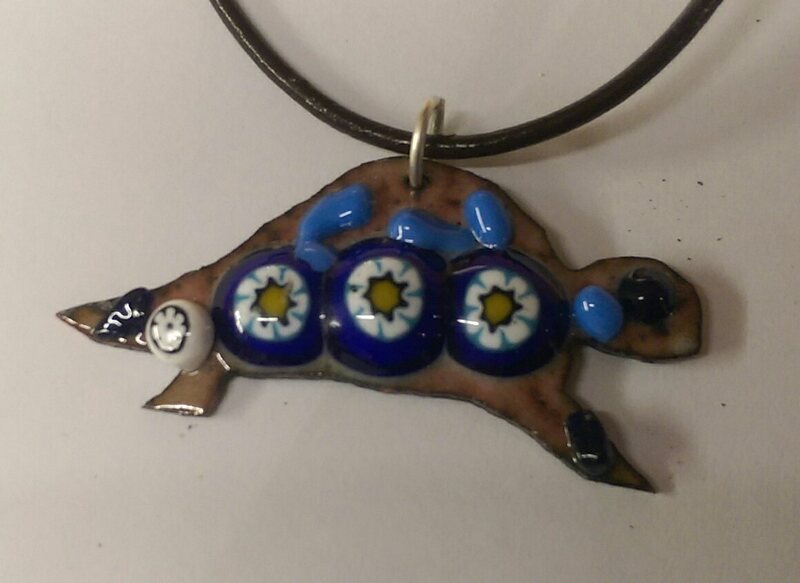 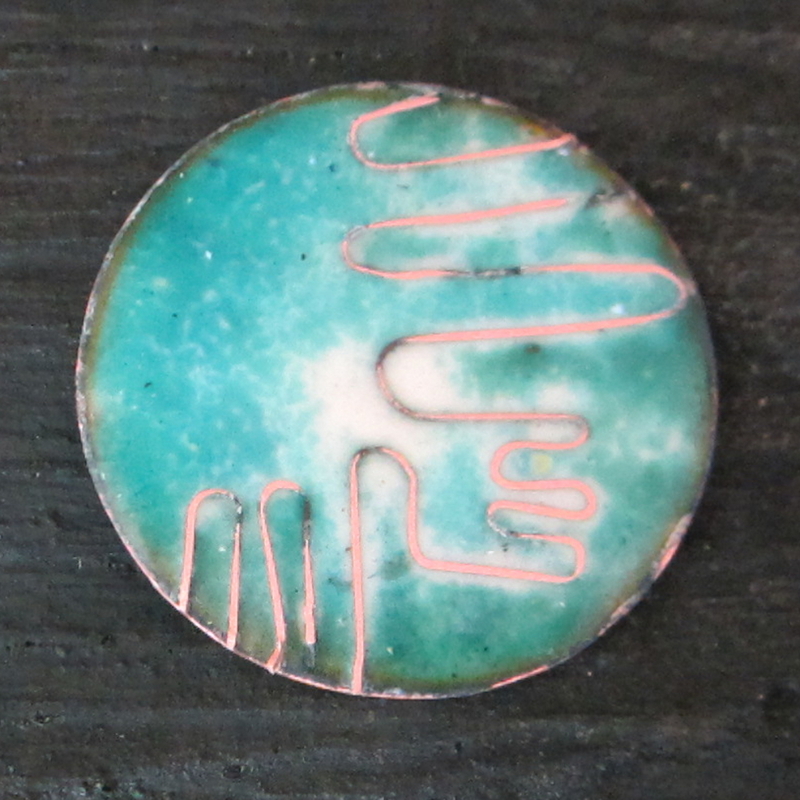 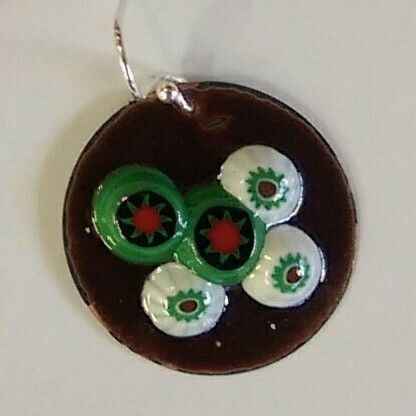 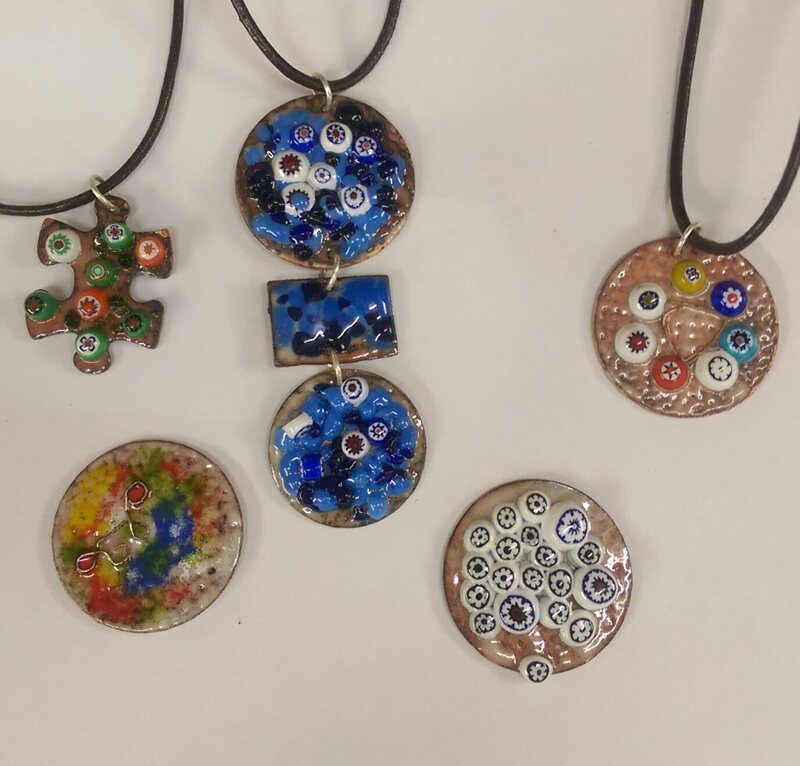 Come along to an Enamel Saturday and learn how to create your own unusual bespoke enamel jewellery. 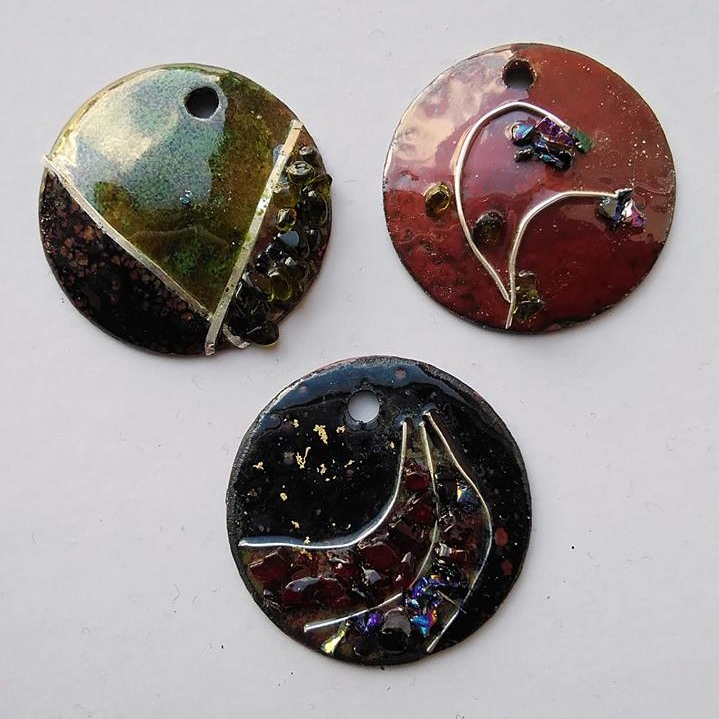 You can play with flux, transparent and opaque enamels, crushed glass (frit), dichroic frit, millefiori, cloisonné (silver wires). 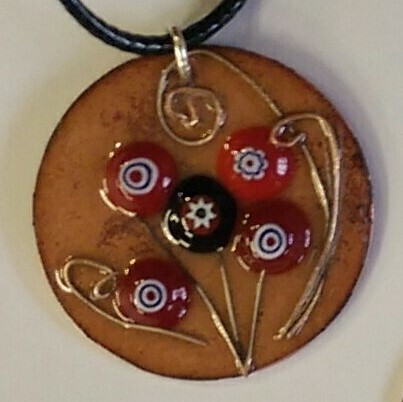 We usually get 2 pieces finished. 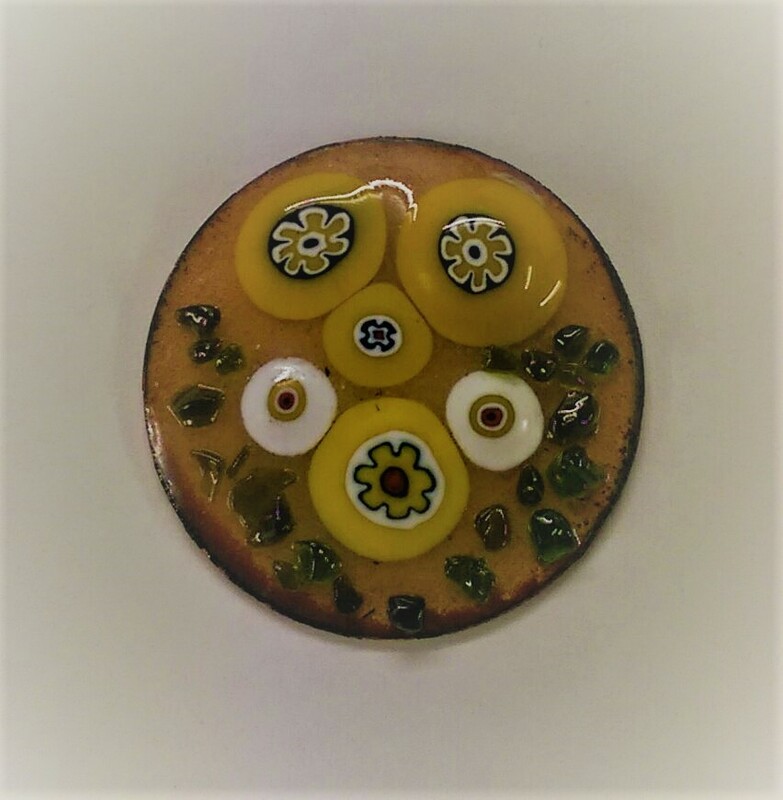 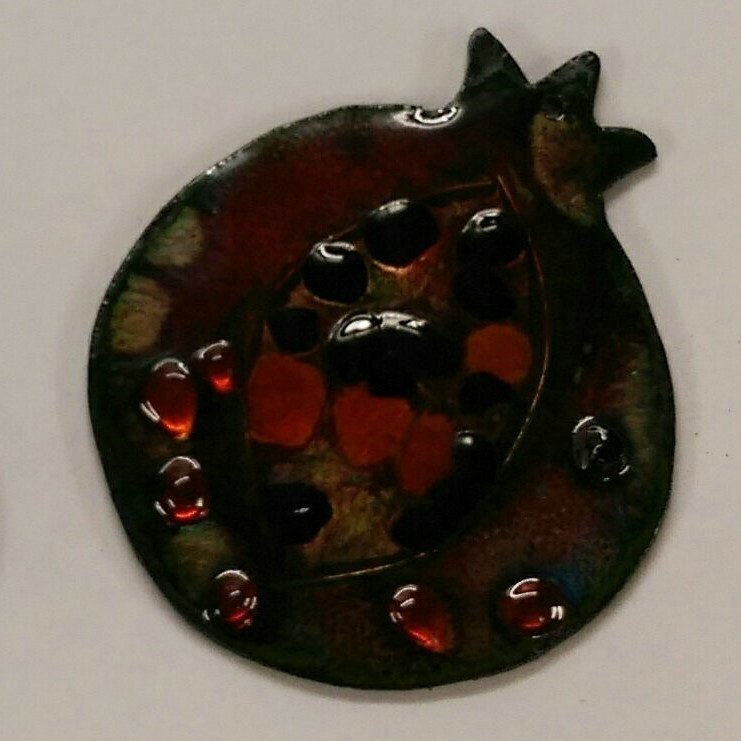 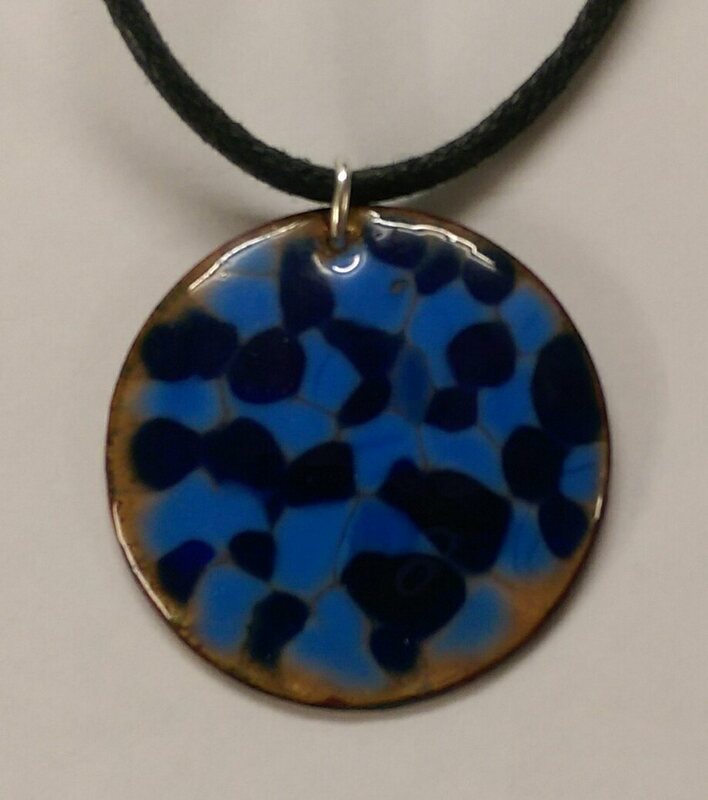 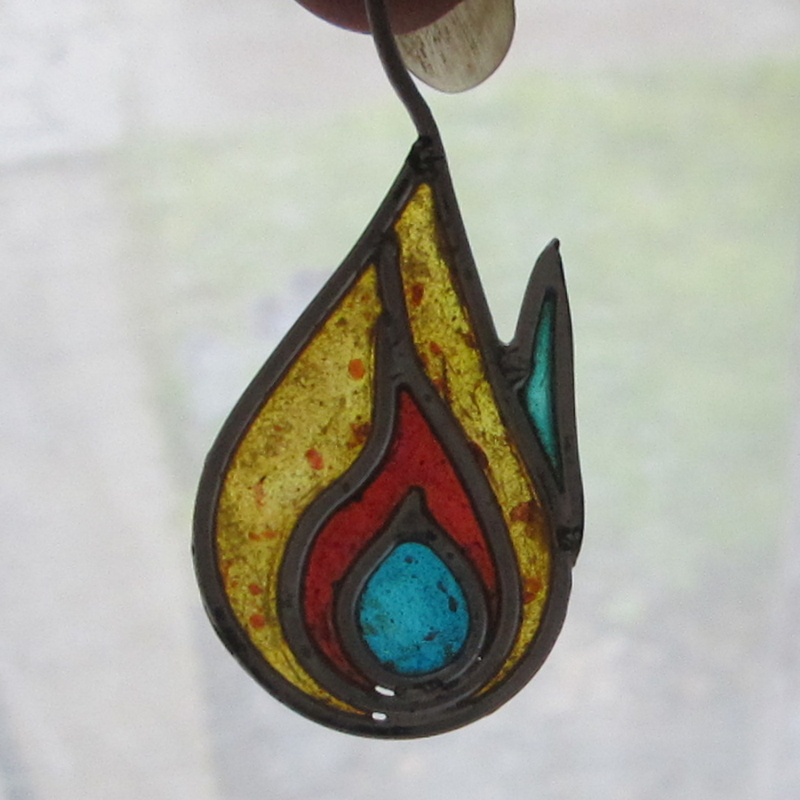 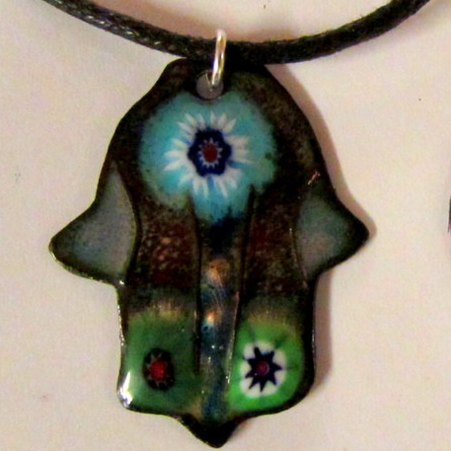 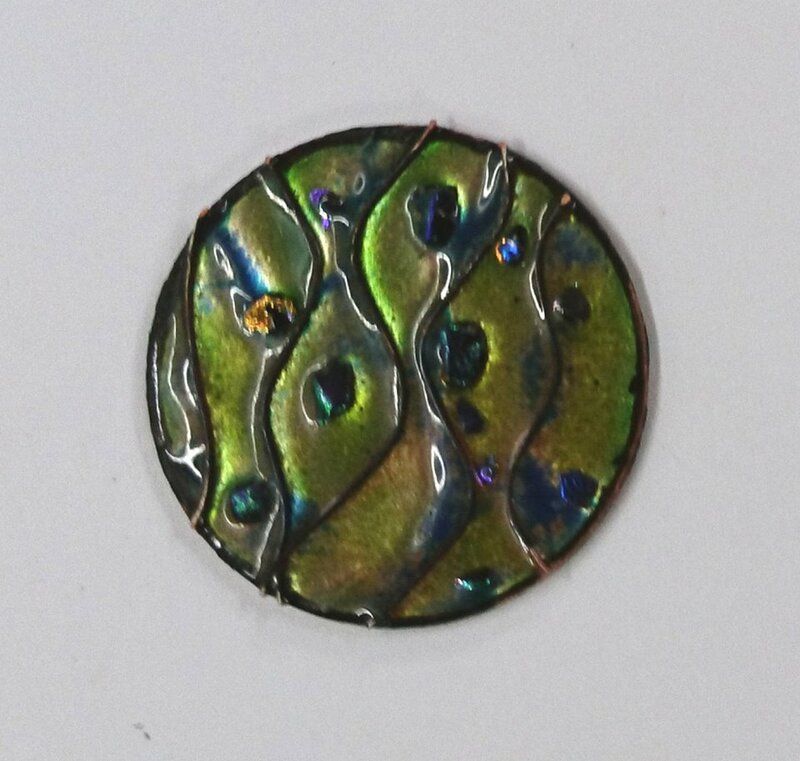 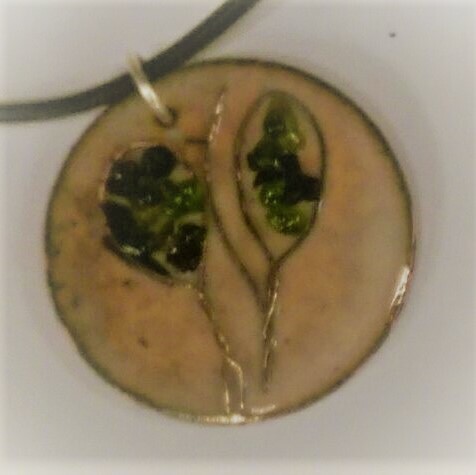 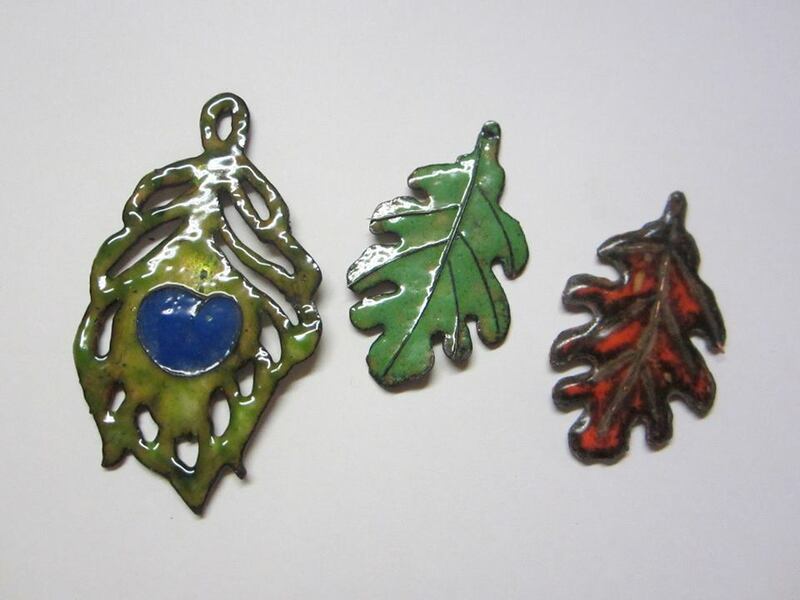 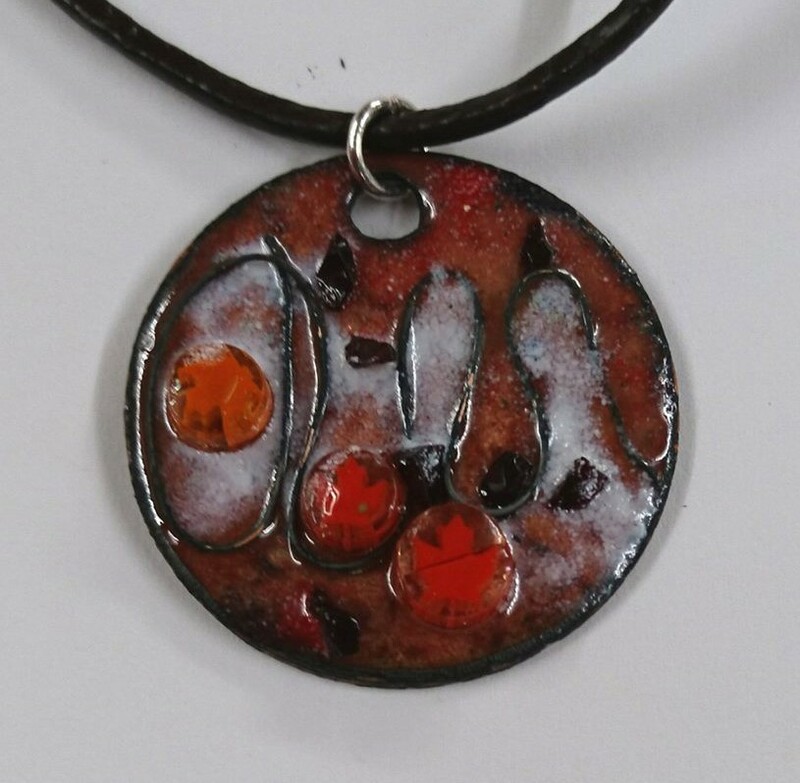 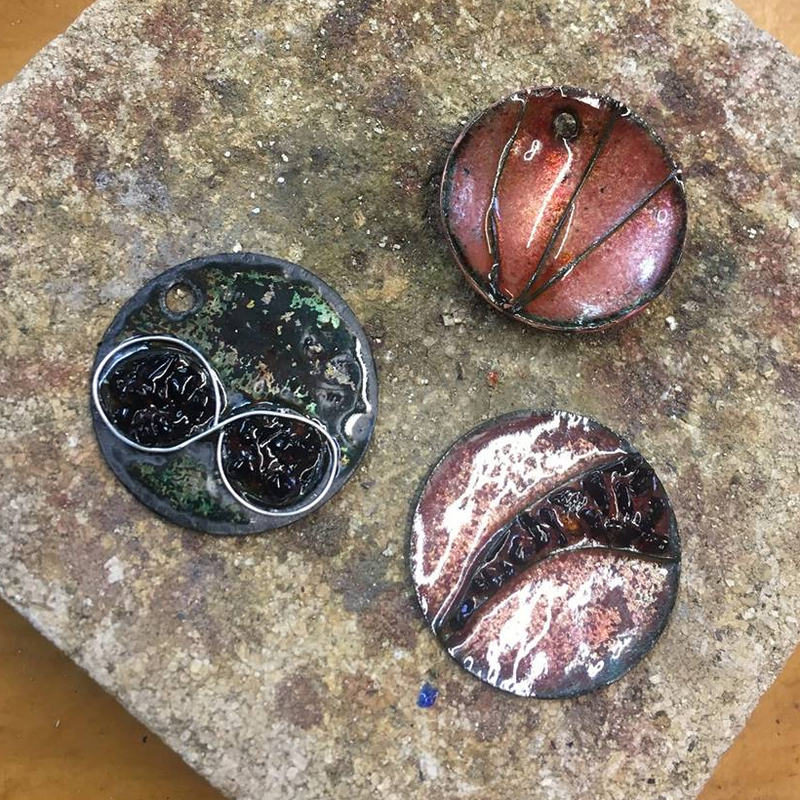 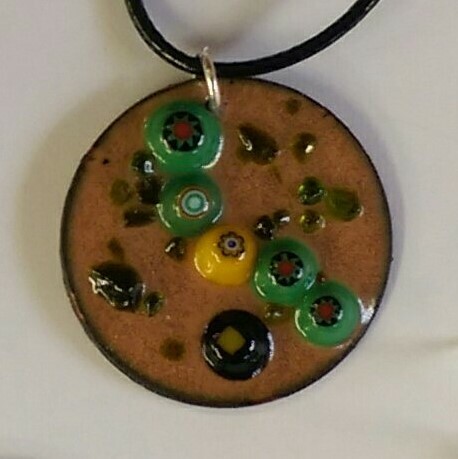 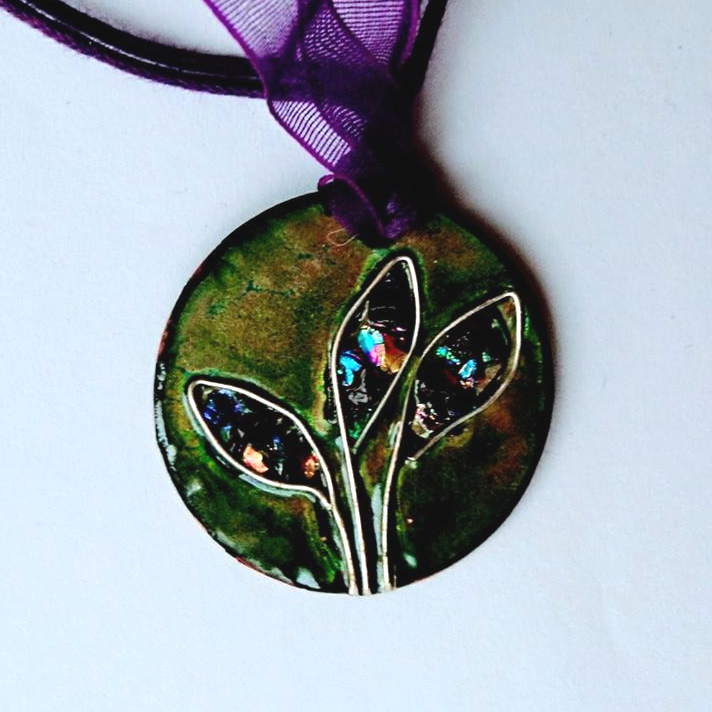 Techniques you will learn are applying flux, wet and dry enamel, frit, millefiori, manipulating silver wire, scriffito, plique a jour, firing in a kiln, cleaning metal and finishing. 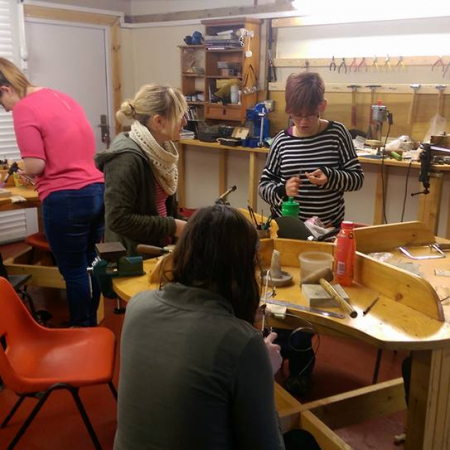 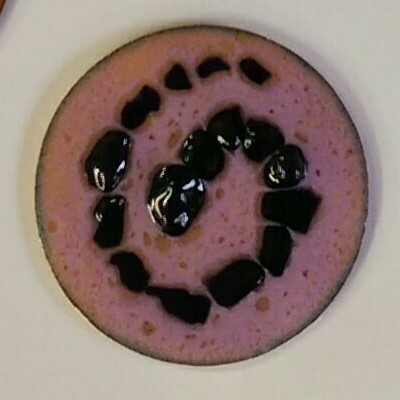 No previous experience required – maximum 5 students. 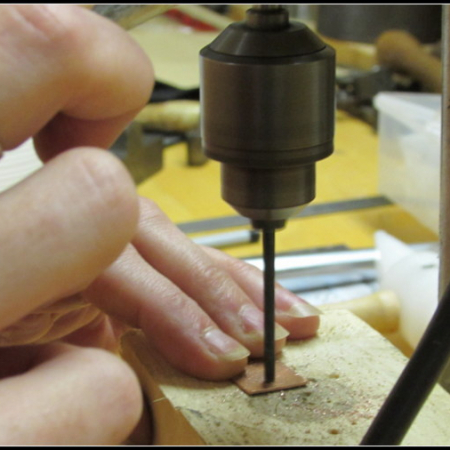 Cost of materials used is included in the class fee.